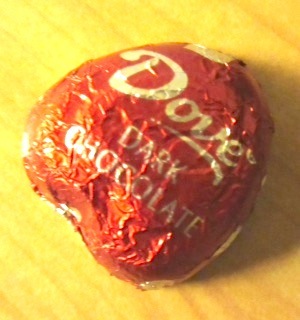 Oh Dove dark chocolate, I’m glad to have found thee. Dr. Oz praises you; what more proof does one need? You my dear Dove are made perfectly. to settle down and engage in a girl’s ideal date. To unwrap the red foil and read the message that awaits. to make me feel special at the end of a day. “To be fabulous and flawed,” you said that was okay. I appreciate the words you’ve written just for me. They go well with the silk chocolate making me healthy. I lament you’re so small and our time seems fleeting. Spending much more time is a dream I once cried. But nothing last forever, that’s just a part of life. That’s why I’ve decided to have at least five. carefully place the bag back in my drawer for the night. And smile knowing our next meeting will make the day right. Very cute-I love it. I’m addicted to chocolate. I probably would have finished off all of them. You’re just an old romantic at heart,aren’t you! This is great. I wonder if anybody else thought of writing a poem about chocolate.